Kelli Rainey has 10 years of higher education experience in institutional effectiveness, operational planning, and assessment. 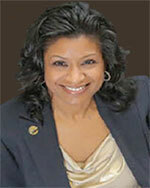 Dr. Rainey is a Senior Consultant with Stevens Strategy and leads our Succession Planning service area. She also serves as the Dean of Academic Support Services at Johnson C. Smith University where she oversees the management of information technology, library services, and institutional research. She serves as a key advisor to senior administrators on strategies and initiatives to support student learning, service delivery, workplace efficiencies and organizational effectiveness. Moreover, as an accreditation liaison, Dr. Rainey is well versed in regional accreditation standards, regulations and procedures for effective demonstration of institutional compliance. Dr. Rainey holds an Ed.D. in higher education and organizational change from Benedictine University, M.A. in applied psychology from Fairfield University, and an B.A. in communication from Lynchburg College. She also has a graduate certification in institutional research from Pennsylvania State University. Dr. Rainey’s doctoral dissertation explored the subject of succession planning in higher education.